Costa del Sol stretches along the coast of the Mediterranean from the area of Gibraltar to Malaga and is the mecca for some of the best sailing on the planet! This article by Tolik looks at what a sailor should be aware of when sailing the stretch of Andalucía coast commencing at the United Kingdom colony of Gibraltar and running eastward as far as Cabo de Gata. Beaurocracy .... Tolik explains what to expect! What equipment to consider for comfort and safety! Currents and tides around Costa del Sol! What weather to expect or be aware of! Costa del Sol's best Marinas and anchorages! Spain is part of the European Union and all EU and American nationals can visit the country for a period of no longer than 90 days solely with a passport. EU national can apply for a residency permit if they wish to extend their stay. Non EU nationals can apply for a further 90 day extension. These regulations do not appear to be enforced as far as the yachtsman (or women) living aboard around Costa del Sol is concerned. It is advisable to clear customs if entering Spain for the first time. The vessel’s registration papers and the passports of crew members will be required. A certificate of competence, evidence of the boat’s VAT status, a crew list with passport details, the radio license and a certificate of insurance may also be required. A VAT (Value Added Tax) paid or exempt yacht can apply for a “permiso aduanero”. This allows for an indefinite stay in the country and can be helpful when importing yacht spares from other EU countries. Boats registered outside the EU on which VAT has not been paid may be imported into the EU for a period not exceeding six months in any twelve, after that VAT becomes due. 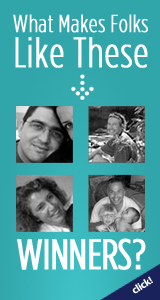 This period can often be extended by prior arrangement with the local custom authorities. There is a legal requirement for foreign vessels to fly their own national maritime flag together with the courtesy flag of Spain. It is worth considering the following equipment when cruising this area. An SSB radio is useful for obtaining weather forecasts. It is very hot in the summer and ventilation is important. It may be worth fitting extra hatches and a wind scoop over the fore hatch will help a lot. An awning or Biminis, covering the cockpit, to provide shelter from the sun is a must. A cockpit table is useful as eating outside during the summer months is one of the pleasures of cruising. Mosquitoes can be a problem and many boats screen all openings while others rely on mosquito coils, insecticides and repellents. Sunburn is the other hazard cruisers should be aware of; the sun can be deceptively strong while the boat is underway, and plenty of cream and a hat will go along way to avoid the misery of sunstroke. There is a constant east going current of between 1 and 2 knots flowing through the straight of Gibraltar and between the Costa del Sol and the North African coast. There is some tide to be considered at the western end of the region, Gibraltar sees 1 meter at most. This diminishes the further east travelled. The weather is affected by several systems and is consequently difficult to predict. There is an old saying that in the summer months nine days of light winds will be followed by a full blown gale that is inaccurate. A wind from the northwest is known as the “tramotana”. It can be dangerous because it can arrive and reach gale force in as little as 15 minutes. It often lasts for 3 days and can blow in excess of a week. The wind from the east, the “levante” can also blow for several days at gale force. Annual rainfall at Gibraltar is 760mm. The Costa del Sol will experience about 4 days a month of fog. Summer temperatures can exceed 35 degrees C and the winter months see around 15 degrees. Marina Bay is largest of Gibraltar’s three marinas with 350 berths. Most berthing is stern/bow to. Larger yachts can lie alongside. Water and electricity on the pontoons. Within the complex you will find chandlers, launderette and a good selection of restaurants and bars. There is an indoor market less than 5 minutes walk from the marina. Queensway Marina is much quieter than Gibraltar’s other two marinas. Security is excellent with all the pontoons being gated. Within the complex you will find several restaurants and bars. Itself was ceded from the Spanish to the British in the early 18th century and for most of its history since that time Spain has been trying to get it back. Take a cable car ride to the top of the rock, stunning views of Spain and across the straights to Morocco. Up here you will also find the famous colony of Barbary apes. Rumor has it that only when the apes are no more will the British leave the Rock. An attractive marina complex surrounded by apartments, shops, bars and restaurants. The overall design has been inspired by Portofino. 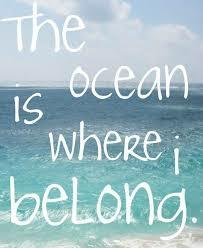 There are sandy beaches to either side of the marina and golf, riding, tennis and squash courts nearby. One of the most expensive marinas on this part of the coast. 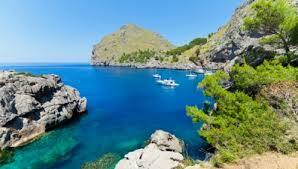 One of my favourite's is Puerto de la Duquessa. Not too big and not to noisy. The marina is surrounded by apartments, shops, restaurants and bars. The marina offers free medical care to its users. There are sandy beaches either side of the marina. The village of Sabinal’s is 5 minutes walk to the north. Another bus will take you to the village of Casares which clings to the side of a mountain. Popular with the rich and famous is another bus journey away. Don’t expect to see the famous on the bus though; they are the ones in the Ferraris. Hire a car and drive up to the picturesque town of Ronda.Puerto de Estapona is a medium sized marina with the usual development of restaurants and bars. 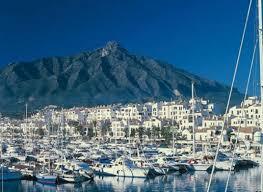 Puerto de Jose Banus, the marina of the rich and famous and the prices reflect this. 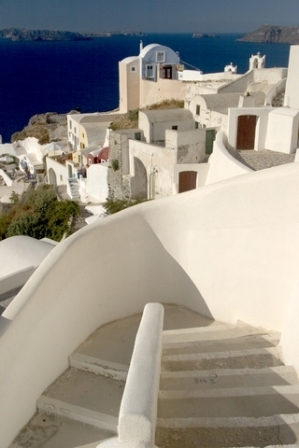 Whitewashed, Andalucian style building surrounds the marina, hosting boutiques, bars, restaurants and night clubs. There are several Yacht Charter and Yacht Brokerage operations within the marina complex. Marbella is 15 minutes away by car or bus. Good beach to the west of the marina which belongs to the hotel and allows berth holders access. This can be arranged at the control tower. Many golf courses in the area. The small marina at Puerto de Marbella is surrounded by tourist developments. The marina can be noisy at night during the summer months. Wind from the east, south and southwest can produce a heavy swell within the harbour. Be prepared to double up on lines. Beaches on either side of the marina but these get very crowded during the summer months. 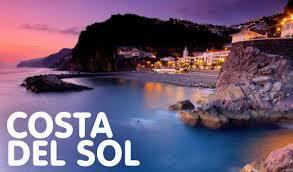 The town itself is well worth exploring when sailing Costa del Sol. Don’t miss the famous Orange Square which can be found at the heart of the city centre. Puerto de Cabopino is a pleasant, small harbour surrounded by Andalucian style houses which makes a nice change from the normal high rise developments. Good shelter within the harbour. Limited space for transient yachts and it is recommended that you call ahead to confirm there is a berth available. Marina charges are on the high side. 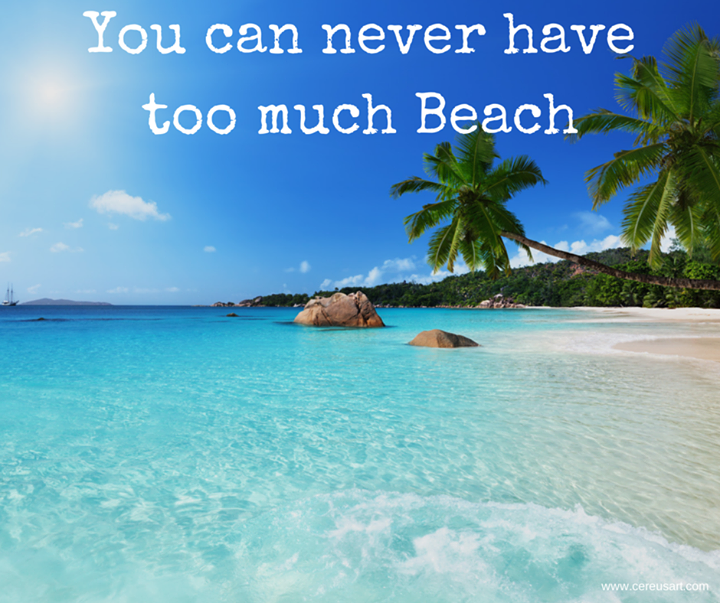 Cabopino beach, with its fine sand is reckoned to be one of the best on the Costa del Sol. 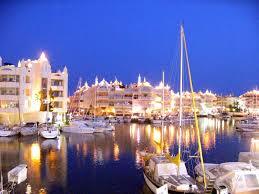 Puerto de Benalmadena is a huge marina with over 150,000 square meters of water. There is good shelter with the only swell being experienced in a W gale. Whilst the surrounding area is the usual overpowering high rise blacks the marina itself is quite attractive. It was named best marina in the world in both 1995 and 1998. There are over 200 commercial premises including boutiques, night clubs and the usual numerous restaurants and bars. There is also a sea life centre. There are good beaches on either side of the marina. Malaga airport is just 8 km away. Marina del Este is a purpose built marina set amongst a huge housing development in a beautiful area. Wind from NE - E produces a limited amount of swell within the marina. Harbour charges are high in the summer months. There is a small beach close to the harbour and a pool at the yacht club. There are prehistoric caves to be seen at Nerja. The city of Granada and the famous Alhambra can be seen in a day’s trip. As can the Alpahurras valley, with its charming villages, towered over by the magnificent Sierra Nevada. The harbour of Puerto de Adra was founded by the Phoenicians and has been in use ever since. Today it is both a commercial and fishing port. The continual movement of the fishing boats makes for much disturbance. Facilities are limited. Harbour charges are high. Beaches on either side of the harbour. Adra town is small and has little in the way of development for tourism. 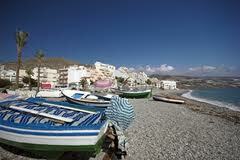 Puerto de Roquetas del Mar is a small fishing harbour. Strong winds from the SE - NE make the harbour uncomfortable. The Puerto de Almeria is a commercial & fishing port. Yachts use the Club de Mar del Almeria. There are several large rusty industrial structures close by a dominating the view and giving the place a rather grim feel. Overall the shelter is good but strong winds from the E produce swell that makes it uncomfortable within the marina. The Alcazaba in Almeria, a Moorish castle, is well worth a visit. This is what dreams are made of ... Sailing the Mediterranean! But don't stop at Costa Del Sol find some other magnificent places to sail ... all with there different cultural personalities!